A Green Beret from the 7th Special Forces Group (Airborne) observes Honduran TIGRES as they react to being engaged from a building inside compound located on an Eglin Air Force Base range Feb. 27. (The Wall Street Journal) TEGUCIGALPA — Honduran SWAT officers in black balaclavas swarmed Habitat, a neighborhood of open sewers, cinder block and razor wire, and, by dawn, had rounded up suspects, drugs, guns and explosives. In an apartment a few miles away, two U.S. Special Forces soldiers monitored the operation. They marked assault routes on a satellite view of the slum and scanned photos from a circling police helicopter. They read WhatsApp text messages between the SWAT commander and his men. The Hondurans kicked in the doors, but the raid was the product of a U.S. campaign to use American commandos to fight Central American street crime and drug trafficking—and to stem the illegal immigration generated by the violence. Over the past two years, U.S. Special Forces have built the elite SWAT unit, called the Tigres, from scratch. “More than anything, we’re looking to promote stability and security downrange because if they’re stable and secure, that’s going to naturally protect our southern border,” said Col. John Poast, who was until recently deputy commander of U.S. Special Operations Command-South. The Honduran mission is part of a broader global security campaign by U.S. special-operations troops deployed in more than 80 countries, from Chad to Ukraine, Bangladesh to Peru. The commandos usually train foreign armies in a strategy to maintain U.S. military dominance using a limited footprint. In Honduras, elite U.S. troops are tackling civilian law-enforcement, driven by the hope that beefing up police operations will stabilize a small country closer to home. Two years ago, U.S. officials worried that Honduras was becoming a failed state ruled by traffickers and thugs. In 2012, Honduras had the highest homicide rate in the world, 91 killings for every 100,000 residents, according to the most-recent United Nations data. The comparable homicide rate in the U.S. was fewer than five. Violent street gangs—including ones with roots in Southern California…control entire neighborhoods. Cocaine shipments from Colombia and Peru cross Honduras en route to American buyers. Many Honduran parents, worried about dangers at home, send their children north to the U.S. In 2014 and 2015, more than 23,000 unaccompanied Honduran children were tallied crossing the Mexico-U.S. border, according to U.S. government figures. After taking office in 2014, Honduran President Juan Orlando Hernandez made good on a law-and-order campaign promise and put thousands of soldiers on the streets. The move proved popular and the Hernandez administration promised to keep the military on the streets until 2018. The sight of camouflage at intersections and key buildings, however, raised memories in Washington of Latin America’s history of repressive military regimes, one reason why the U.S. is supporting an overhaul of the civilian police force, long considered both inept and corrupt. The Hondurans asked the U.S. to help finance and train the Tigres, a SWAT force capable of carrying out high-risk arrests in the…slums of Tegucigalpa and other violent neighborhoods. The Tigres have scored some notable wins, including [multiple] raids at the end of last year. 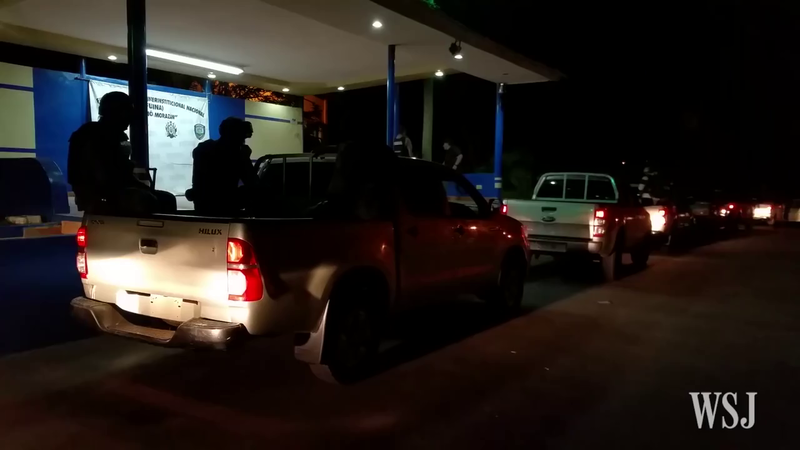 They killed two suspected…gang members in a shootout in Tegucigalpa, captured three murder suspects and, in October, detained 38 people in a criminal network allegedly led by a small-town mayor. (Reuters) – The European Union (EU) ended five years of sanctions against Belarus and its authoritarian President Alexander Lukashenko on Feb. 15, citing improving human rights as the bloc seeks more friends in Russia’s back yard. A peaceful presidential election in October, the release of political prisoners and Lukashenko’s role in holding Ukraine-Russia peace talks in Minsk have improved ties with the man who the United States once said runs Europe’s last dictatorship. The Belarusian president, Alexander Lukashenko, was dubbed Europe’s last dictator by the George W Bush administration. “This decision is not taken under the illusion that Belarus is changing overnight,” Germany’s Foreign Minister Frank-Walter Steinmeier said, underlining what the European Union insists is its sober but constructive approach to the former soviet state. Announcing its decision at a foreign ministers’ meeting in Brussels, the European Union said it will maintain its arms embargo on Belarus and will keep sanctions for another year on four members of Lukashenko’s security service suspected of being behind the disappearances of two opposition politicians, a businessman, and a journalist. 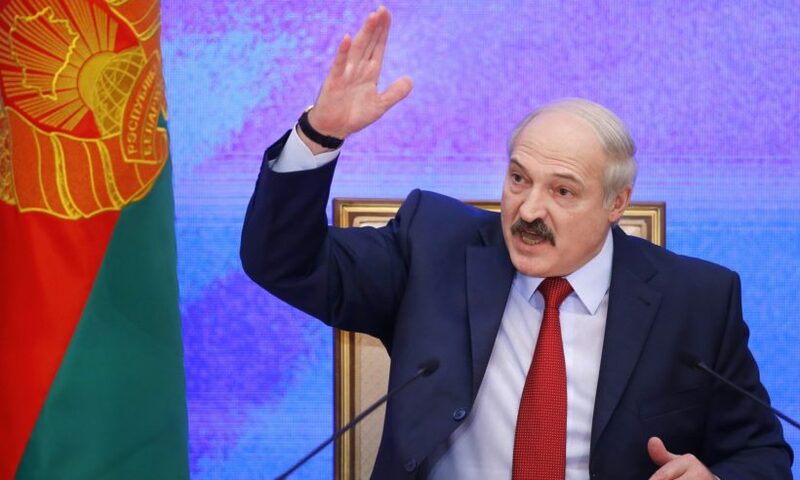 The sanctions — on 170 people, including Lukashenko, and three companies — were already lifted for four months at the end of October in a gesture to Lukashenko. Monday’s decision means they will end definitively [absolutely] on March 1. The European Union has pushed for democratic change in Belarus but is now shifting its approach to engage rather than isolate its neighbors in central and eastern Europe, as well as to counter what it sees as a newly aggressive Russia, which annexed Ukraine’s Crimea peninsula in 2014. They had warned Lukashenko, in power for two decades, that sanctions relief depended on a peaceful election on Oct. 11 last year, which returned the president for a fifth term but which did not feature the kind of crackdowns [on citizens] that have followed Belarus’ elections in 2010 and brought on the EU’s sanctions. The release of political prisoners in August was also sought by the European Union. Brussels is still urging Minsk to abolish the death penalty. The conciliatory moves by Lukashenko suggest he is seeking to improve his image abroad to rely less on his ally Russia, which is under Western sanctions due to the Ukraine conflict and also suffering from the fall in oil prices. In its statement, the European Union offered to help Belarus economically and with trade preferences, also aiding its bid to join the World Trade Organization. Belarussian companies will be eligible for financing from the European Investment Bank and the European Bank for Reconstruction and Development. 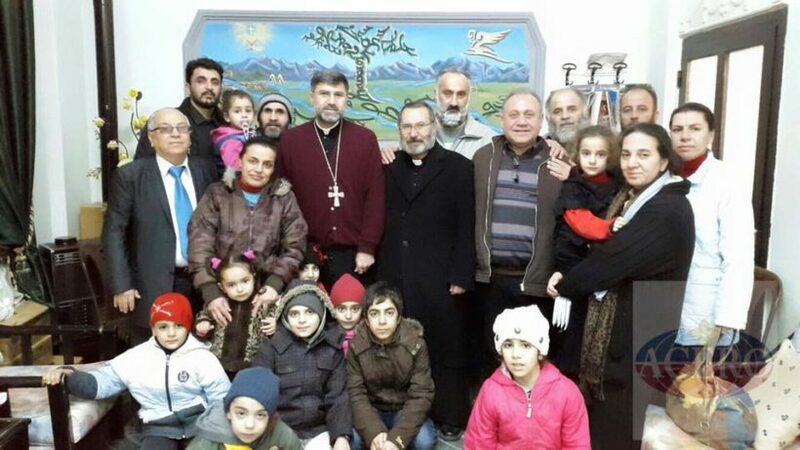 (CBS News) BEIRUT — The Islamic State of Iraq and Syria (ISIS) has been paid millions of dollars in ransom for a group of Assyrian Christians it kidnapped in Syria a year ago, Christian officials…said on Monday, Feb. 22, as the last of the 230 hostages were freed. The release ended a yearlong saga for the Christians — many of them women and children — during which families had no news from their loved ones. Mr. Younan Talia, of the Assyrian Democratic Organization, told The Associated Press that about 40 remaining captives were released early Monday and arrived in the northeastern town of Tal Tamr. He said the release came after mediation led by a top Assyrian priest in northern Syria. 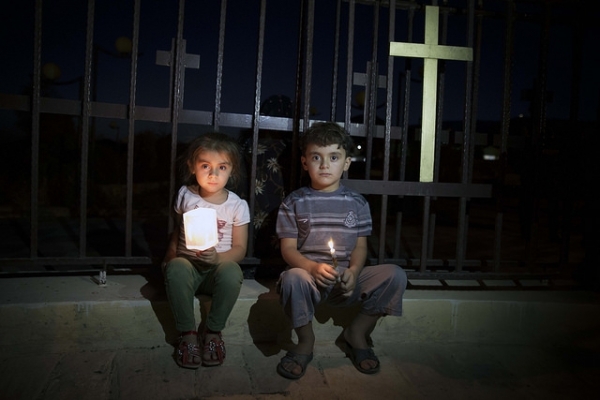 Two young Assyrians sit next to the fence with a Cross. They fled with their families from Islamic State’s held Mosul to Koysinjaq, Iraqi Kurdistan. Kidnapping for ransom is a main source of income for the extremists…. Talia said ISIS demanded a ransom of $18 million for the Assyrian Christians. He said the figure was later lowered following negotiations. He said he did not know the final amount. The director of the Syrian Observatory for Human Rights, Rami Abdurrahman, said $25-30 million in ransom money was paid by businessmen and the Assyrian church, who asked that the terms of the deal remain secret to avoid allegations of supporting terrorism. Abdurrahman, whose group documents the war through activists on the ground, did not say how he got the information. ISIS attacked a cluster of villages along the Khabur River last year, sending thousands of people fleeing to safer areas and capturing the Assyrians over a period of three days. Over the next two days, the extremists picked up dozens more from 11 communities near Tal Tamr, Syria. The Hassakeh province of Syria, which borders Turkey and Iraq, has become the latest battleground in the fight against ISIS in Syria. 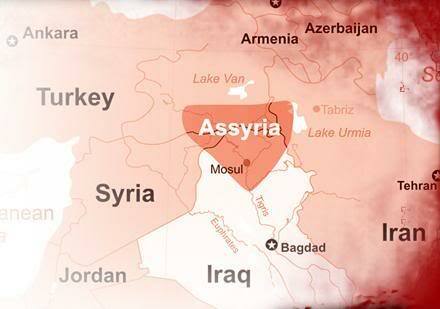 It is predominantly Kurdish but also has Arabs, Assyrians and Armenians. Many Syrian Christians, who make up about 10 percent of Syria’s pre-war population of 23 million, left for Europe over the past 20 years, with the flight gathering speed since the country’s conflict began in March 2011.
b) What is the goal for having U.S. special ops forces train the Tigres? Be specific. 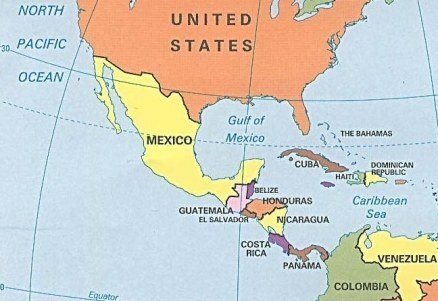 c) How did the homicide rate in Honduras compare to the U.S. in 2012? How has it changed since then? 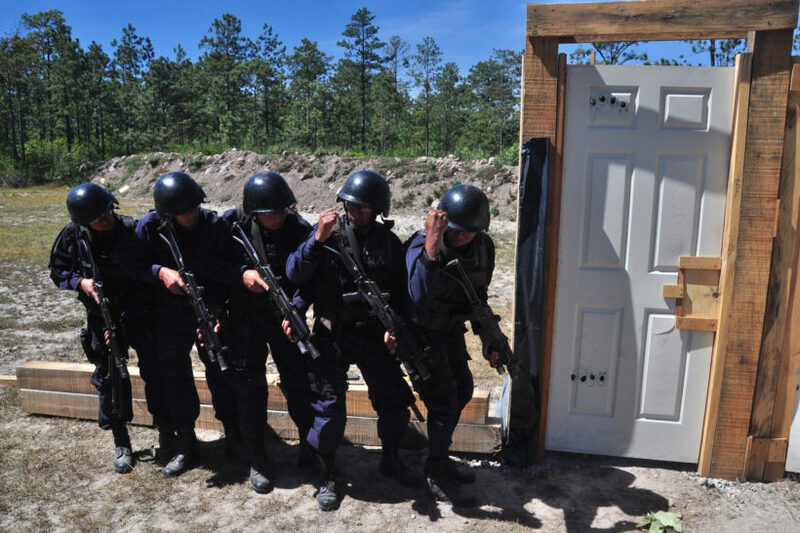 d) What do you think of the special training we are giving Honduran police? e) The Wall Street Journal reports: “The Honduran mission is part of a broader global security campaign by U.S. special-operations troops deployed in more than 80 countries, from Chad to Ukraine, Bangladesh to Peru. The commandos usually train foreign armies in a strategy to maintain U.S. military dominance using a limited footprint.” What is your reaction to this?  (surprise, approval, dismay…) Explain your answer. b) For what reasons do European Union officials say they are lifting the 5 year old sanctions against Belarus? c) What is most likely the real reason? d) What is believed to be President Lukashenko’s motive for attempting to appear to work with the EU? e) Ask a parent or grandparent: do you think the EU’s decision to drop sanctions against Belarus was the best decision? Explain your answer. b) How many Assyrians were kidnapped? For how long were they held? c) Why does the Assyrian church want to keep the terms of the ransom secret? d) ISIS terrorists kill Muslims and Christians. However, no Christian is safe in these areas. Many call on the U.S. government to give special preference to Arabic and Assyrian Christians seeking asylum here. Do you agree? Explain your answer. The country’s homicide rate has fallen by almost a third from its 2012 peak, according to Honduran data, although it is impossible to know how much of the improvement is due to the Tigres or other specialized police units. 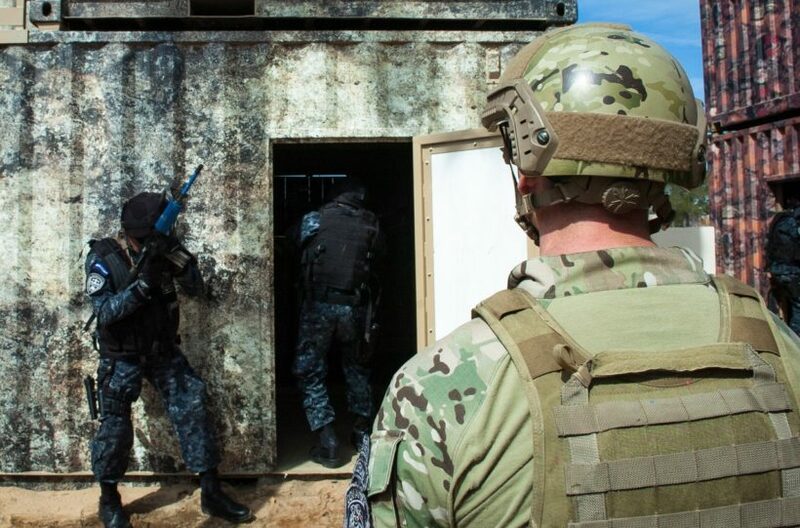 The world’s highest homicide rate is now in El Salvador, where U.S. Special Forces and Navy SEALs also train security forces. The Tigres, which number 285, must become regular police officers before attending a 12-week commando course. Commanders hope to increase the force to 500 officers, perhaps next year. A Tigre earns 30% more than the $500 monthly salary of an ordinary policeman. The U.S. donates uniforms, boots, radios, navigational tools and training ammunition, but no weapons. The Honduran government arms the SWAT officers with Israeli-designed, Bulgarian-made rifles. Much of the training takes place at an isolated base in the Honduran mountains. Tigres use battering rams to enter buildings, armed with paintballs, blanks or live ammunition. They round corners to confront simulated life-or-death decisions posed by paper targets: armed men; women with babies; women with weapons; women carrying babies and weapons. Belarus has been ruled by Alexander Lukashenko since 1994; the KGB is still in business and there is no opposition in parliament. But he has been making overtures to the west following Russia’s seizure of Crimea and the crumbling of Belarus’s economy amid wider turmoil in eastern Europe. In a likely nod to Minsk’s role in hosting four-party peace talks on Ukraine, the EU said it valued “Belarus’s constructive role in the region”. At a time when Russia was trying to extend its sphere of influence, supporting Lukashenko was seen “as the lesser evil.” Forbrig said, although added there was no evidence this was an effective policy. The Assyrians are not Arabs, but rather have maintained a continuous and separate identity, language, and culture that predates the Arabization of the Near East. Until today, the Assyrians speak a distinct language, Syriac, the language spoken by Jesus Christ. As a Semitic language, the Assyrian language is related to Hebrew and Arabic but predates both. Today, the Assyrians belong to three major Christian sects: the Church of the East, the Chaldean Church, and the Syrian Orthodox Church. Branches of these Churches have led to other Christian Assyrian Churches. A direct consequence of the Assyrian adherence to the Christian faith has been persecution, massacres, and ethnic cleansing by various waves of non-Christian neighbors, which ultimately led to a decimation of their numbers. Read more about the Assyrians at Nineveh.com. At one point, 30 percent of Syria’s population was Christian. Today, it is believed there are about 2.2 million total, though that number has dropped rapidly since the beginning of the Syrian civil war in 2011. The dwindling Christian population in Syria is one example of a larger extinction of Christianity in the Middle East. Iraqi Christians who have resided in the Nineveh Plains for thousands of years were one of the first groups to convert to Christianity, but now they are about to be wiped out due to the turbulent nature of the Middle East and the ISIS onslaught. ISIS is currently strapped for cash, which may explain why they accepted a lower ransom for the hostages. During a press briefing Feb. 17, U.S. Army Col. Steve Warren confirmed coalition forces blew up hundreds of millions of dollars worth of ISIS currency reserves. ISIS oil trafficking has also been seriously mitigated via air strikes, cutting in to the terrorists group’s primary stream of revenue. The apostle Paul was converted on the road to Damascus, while some Christians from the town of Maaloula still speak Aramaic, the language of Jesus. Hundreds of thousands of Christians have been displaced by fighting or left the country. Melkite Greek Catholic Patriarch Gregorios III Laham said last year that more than 1,000 Christians had been killed, entire villages cleared, and dozens of churches and Christian centers damaged or destroyed. Patriarch Gregorios said the threat to Christianity in Syria had wider implications for the religion’s future in the Middle East because the country had for decades provided a refuge for Christians from neighboring Lebanon, Iraq and elsewhere.